This classic style aviators helmet is made to the highest quality. A combination of tan cloth and top quality leather details for the ear cups, chin strap, headset and goggle strap tags. 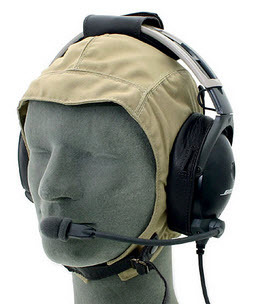 Will keep your headset securely in place while performing your favourite aerobatic manoeuvures.